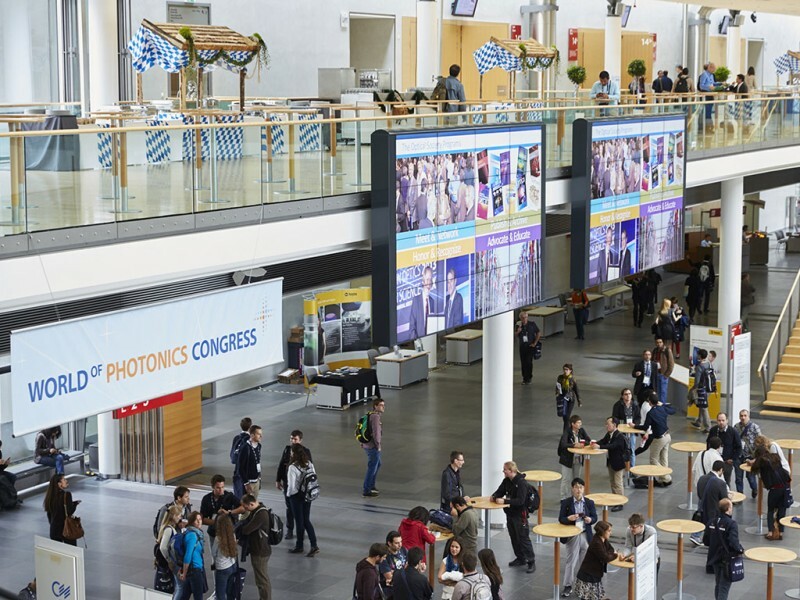 The World of Photonics Congress is among the world’s top 3 photonics congresses and number 1 in Europe. It will take place from June 25 to 29, 2017 at the ICM – Internationales Congress Center München on the Messe München site concurrently with LASER World of PHOTONICS, the world’s leading trade fair, from June 26–29, 2017 in the directly adjoining exhibition halls. The World of Photonics Congress 2015 recorded 5,500 participants attending more than 2,700 scientific and practically-oriented lectures. 2017 sees a continuation of this upward trend: round about 3,000 lectures have been registered so far. A new conference named Digital Optical Technologies, keynote speeches and invited talks by famous scientists from all around the world, the presentation of innumerable awards, short courses and hands-on-sessions—the World of Photonics Congress is setting new records and offers a lot of new and exciting program highlights. This year there is a particular focus on quantum technologies, which are currently enjoying considerable national and international support, with high expectations for their potential implementation in industrial applications. 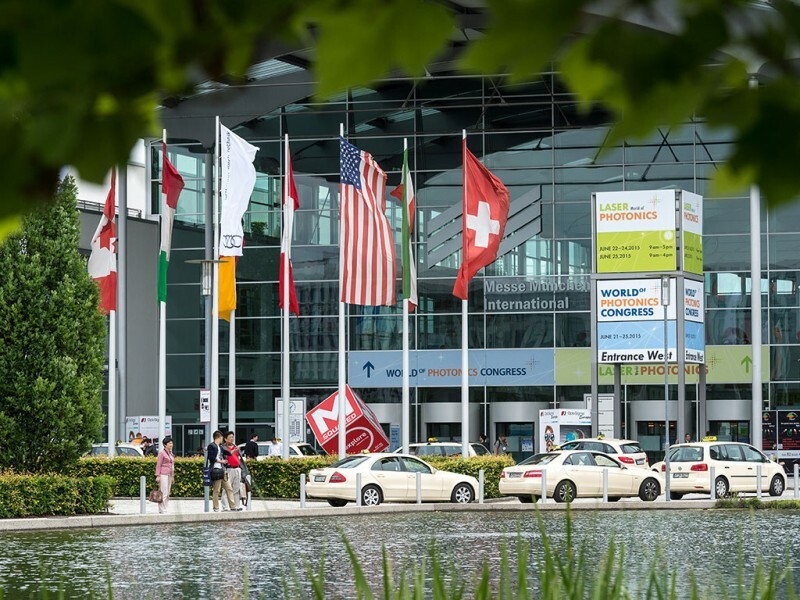 This is a common theme permeating the entire Congress program and begins with the inauguration of LASER World of PHOTONICS and the World of Photonics Congress on June 26 at 09:40 in the ICM International Congress Center Munich. The welcoming addresses will acknowledge the political and economic importance of optical technologies. Dr. Peter Leibinger, Vice Chairman of the Managing Board of TRUMPF and Chairman BMBF Advisory Board “Photonik Forschung Deutschland” (Photonics Research Germany) will present the current objectives of photonics research in Germany in his keynote address “Drawing on Photonics strength—taking up the challenge of Quantum Technologies”. At 10:00 the multiple award-winning Prof. Dr. Jörg Wrachtrup will deliver his opening lecture “Putting a Spin on Photons”. Efficient matter photon interfaces are key ingredients of quantum technology. Quantum communication relies on photon storage and processing but spin photon interfaces can also increase the sensitivity of quantum sensors. Prof. Dr. Jörg Wrachtrup, who is the head of the 3rd Institute of Physics at the University of Stuttgart, received the first ever Zeiss Research Award this year. He has already won the Gottfried Wilhelm Leibniz Prize and Max Planck Research Prize for his research. There is a dedicated session on Monday afternoon given over to the importance and foreseeable industrial use of quantum technologies: Prof. Tommaso Calarco, Director of the Institute for Complex Quantum Systems at the University of Ulm will be talking about the “The European Quantum Technologies Flagship Program” and Dr. Wilhelm Kaenders, President, TOPTICA Photonics AG, will be asking in his lecture “Time for Quantum Technologies? !”, whether this highly topical research field has achieved industrial maturity. CLEO®/Europe-EQEC: The “Conference on Lasers and Electro-Optics and the European Quantum Electronics Conference” is the biggest conference at the World of Photonics Congress. With technical co-sponsorship provided by the European Physical Society (EPS), the IEEE Photonics Society (IPS) and the Optical Society (OSA), CLEO®/Europe-EQEC reflects a strong international presence in the complementary research traditions of laser science, photonics and quantum electronics. CLEO®/Europe-EQEC conference has become the benchmark conference where European researchers present their most groundbreaking results in a wide range of areas in fundamental optics and applied photonics. With recent advances in optical sources, new materials and novel approaches to manipulating and controlling light, 2017 promises to be the most exciting conference yet. The plenary lectures will be given by Prof. Sir David Neil Payne, Professor at the University of Southampton and Director of the Optoelectronics Research Centre, and Prof. Ferenc Krausz, Director at MPQ, Chair of Experimental Physics at LMU. European Conferences on Biomedical Optics (ECBO): The entire fascinating world of biophotonics in medicine and life sciences is the world of ECBO, sponsored by the two scientific societies The Optical Society (OSA) and The International Society for Optics and Photonics (SPIE). Presentations will cover basic science, novel technology and applications in the areas of advanced microscopy, clinical and biomedical spectroscopy, diffuse optical imaging, molecular imaging, optical coherence tomography and other coherence techniques, therapeutic laser applications, laser-tissue interactions, opto-acoustic methods, and other novel biophotonics techniques. The plenary speakers in 2017 are Prof. Ed Boyden, Massachusetts Institute of Technology, who will be talking about “Tools for Seeing and Controlling Biological System” and Dr. Aydogan Ozcan, UCLA, with his lecture entitled “Computational Microscopy, Sensing and Diagnostics”. The European Optical Society (EOS) will hold their established conferences for the first time under one title: EOS Optical Technologies. EOS Optical Technologies addresses all aspects of optical technologies like development and manufacturing of optical systems and components, opto-fluidics, optomechanical engineering and light engineering. Prof. Demetri Psaltis, École Polytechnique Fédérale de Lausanne (EPFL), will give a plenary talk about “Optofluidics in solar energy harvesting”. 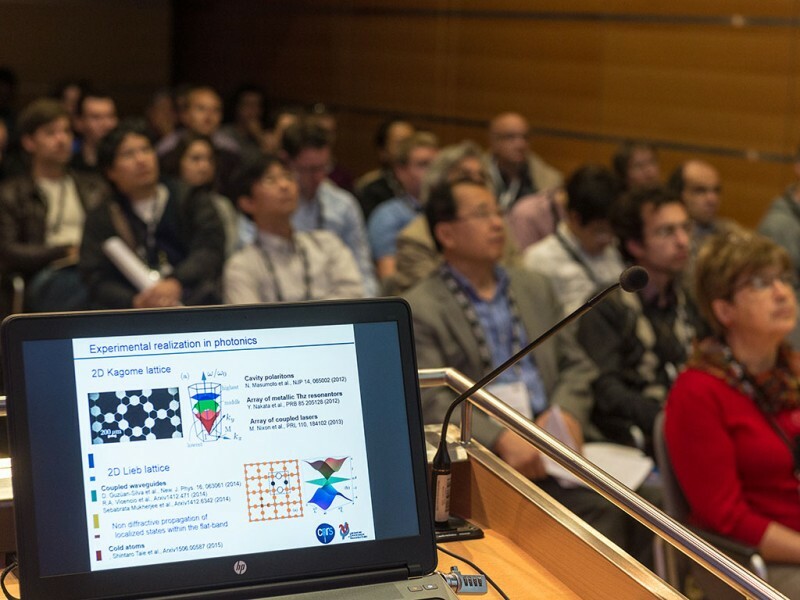 Optical Metrology, organized by SPIE Europe: The conference deals with optical metrology and the use of photonics in image processing. The symposium will highlight new optical principles and systems for metrology, videometrics and machine vision with applications in industrial design, production engineering, process monitoring, maintenance support, biotechnology, vehicle navigation, multimedia technology, architecture, archaeology and arts. Prof. Federico Capasso of Harvard University has been invited as a plenary speaker. His lecture is entitled: “Metasurface Diffractive Optics”. The hands-on demos are free for Digital Optical Technologies registered attendees. As the biggest meeting place for photonics research in Europe, the World of Photonics Congress is also the perfect forum for award ceremonies. The WLT Award, the Herbert Walther Award, the OSA Fellow Member Recognition and the prices of the EPS are among the accolades being bestowed on outstanding scientists and researchers in 2017 in recognition of their work. For example the 2017 Herbert Walther Award will be awarded to experimental physicist Prof. Randall Hulet, Rice University, USA, for his groundbreaking research and discovery of the Bose-Einstein condensation in an atomic gas with attractive interactions. 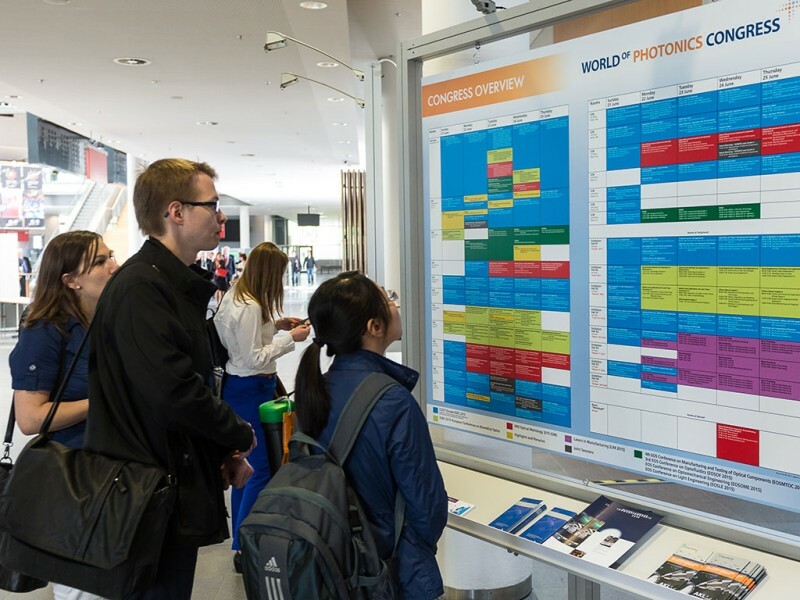 The World of Photonics Congress will be hosting daily practically-oriented events at the forums in exhibition halls A3, B2 and B3, which are open to every trade fair exhibitor, visitor and congress participant.